How Can I Go All-Pro Physical Therapy, Canton? Where is All-Pro Physical Therapy, Canton in Canton on the Map? My husband had a stroke years ago. He came to All Pro due to tightness in his Achilles heel & calf. Jill & Andrea were his theropists, but everyone there were so kind. If one exercise didn't help, or was painful, they'd try another one. We've got plenty of exercises now to keep up and continue at home. They truly have helped him, and he's greatful. Thank you all at All Pro physical therapy in Canton. 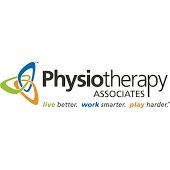 I am SO pleased with the care received at All-Pro Physical Therapy in Canton! Most of my visits were with Erica Tomassi, who I found to be a CONSTANT inspiration and source of great knowledge, tips and tricks for how to modify stretches and exercises to really get the BEST results for my particular issue. The whole team at All-Pro PT Canton (and I *did* work with them ALL at one point or another!) has a can-do attitude, jumping in to help/assist one another whenever needed. The care I received was excellent, and the results are rather impressive; I now have better range-of-motion and flexibility than even before my injury. Best of all, Erica armed me with additional suggestions to help me continue making progress on my own, now that I've "graduated" from physical therapy. I couldn't have asked for a better overall experience, so I will be sure to recommend All-Pro to anyone I know seeking physical therapy. The staff was friendly and very caring. At every appointment I felt welcomed and was asked how my day was going. I had plantar fasciitis in both feet. Raj and Rob design the perfect plan and today I am pain free. They believed in me and their words of encouragement made me want to keep doing my exercises. I still work on my feet long hours each day but I am a happy person thanks to their team. I would highly recommend them. I would highly recommend All-Pro Physical Therapy. I went to several doctors and other physical therapists for an issue with my right should where I could barely lift my arm. The doctors and and other physical therapists I saw didn't solve my issue after many months of costly visits. All-Pro identified the problem and resolved my shoulder issue quickly and in a cost effective manner. They are very professional and knowledgeable. I reluctantly returned to physical therapy to avoid surgery for a chronic back condition. I found that All-Pro Physical therapy provided the exercises and therapies that I needed. I was able to receive a fifty percent reduction in my pain level in just six weeks of three times per week of treatment. The entire staff is very well informed and friendly. They work as a team and show a sincere interest in getting you to reach your goals.